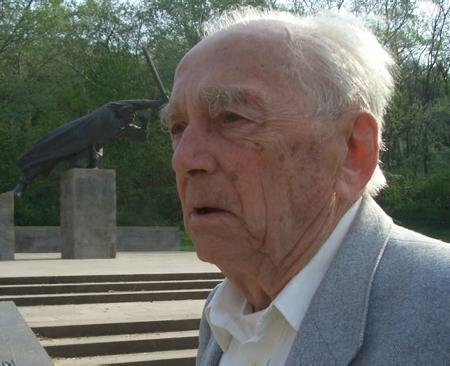 This is to announce that Josef “Joschi” Eisenbauer, one of the three surviving Austrian brigadistas died on December 10. He was one of the more than 1400 Austrians who had gone to defend the Spanish Republic. He went to Spain in 1937, was a member of the XIIIth and XIth International Brigades, was wounded and taken to the hospital in Benicásim. Evacuated to France and from there to Soviet Union, where he worked during World War II as an instructor for German prisoners of war and returned to Austria in 1946. 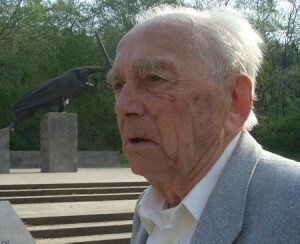 He was an active fighter against fascism until the end. Read an interview with Eisenbauer here. i can’t imagine how it will be next summer in wachau, when there is no joschi, who almost came daily to me on his vespa and had an epresso with me. but i’m glad, that my young sons were lucky to have met joschi and had heard much about the danger of fascism from him. we will never forget him and will take care of his wife steffi. werner, anna hui-lin, david and daniel.